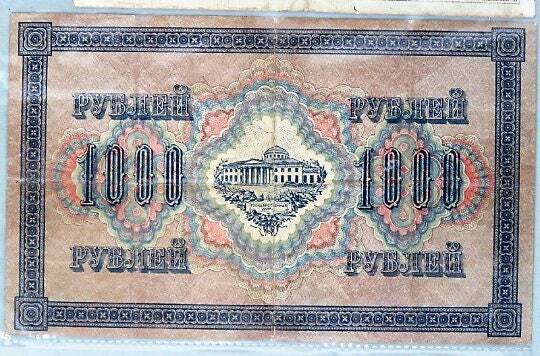 Nice 1917 Russian 1,000 Ruble note, issued the year of the Bolshevik Revolution. 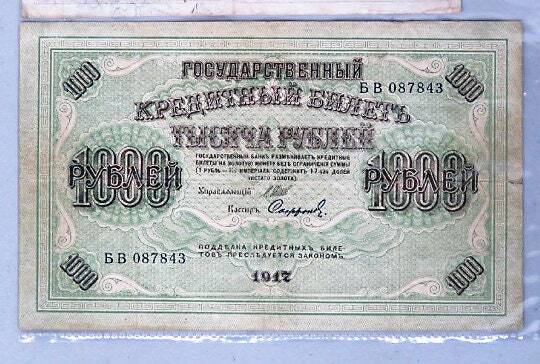 Nice piece of Russian and numismatic history. This paper money is in about uncirculated shape, no pinholes or tears.